The entire industrial revolution was driven by massive gains in efficiency derived from systems which were designed, manufactured, assembled and repaired using interoperable components and spare parts. The Open Industrial Interoperability Ecosystem (OIIE) can provide similar gains in efficiency for industrial Information Technology and Systems associated with the entire life-cycle of complex physical assets and critical infrastructure management, while also enabling industry initiatives such as Industrie4.0 and the Industrial Internet of Things (IIOT). Individual suppliers of complex physical assets and related industrial IT solutions have begun to offer proprietary digital ecosystems, enabling their own systems and components to interoperate with each other with little need for traditional systems integration. The major challenge is that large industrial and public sector plants, facilities and platforms are highly heterogeneous systems of systems. This minicourse discusses how the OIIE addresses these challenges, supporting all key phases of the industrial physical asset life cycle, while enabling mutually beneficial cooperation between major industrial device and equipment manufacturers, IT platform and applications suppliers, EPC firms and asset owner/operators. Who Should Attend: Industrial and public sector asset managers and their IT support staffs, along with key participants in the industrial asset supply chain for both CAPEX and OPEX activities. 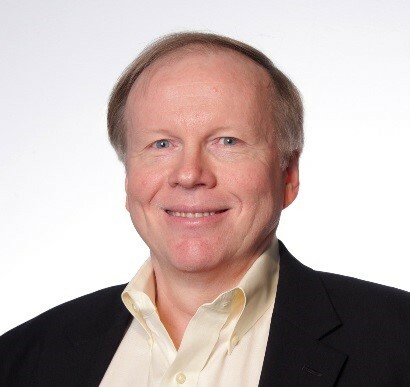 Alan Johnston is a senior Subject Matter Expert with over 30 years of information architecture, systems analysis, systems integration and software development experience, with a special focus on Standards-Based Interoperability for Asset Information Management and Critical Infrastructure Management. He currently serves as the President of MIMOSA and co-Chair of the Standards Leadership Council. He has previously chaired the ISO TC 184 Manufacturing Asset Management Integration Task Force and is now the convener for ISO TC184/WG 6, drafting the ISO 18101 Technical Specification, which is focused on interoperability for the Oil and Gas Industry and other asset intensive industry groups. Mr. Johnston is also General Manager of Assetricity, LLC, a boutique consulting firm, which specializes in helping owner/operators gain business value from standards-based interoperability in Asset Management related business activities. Head, Aeroelastic Department, Institute of Fluid-Flow Machinery Polish Academy of Sciences, Gdansk, Poland. Despite standards some critical machines fail with very little warning due to excessive alternating stresses and related fatigue damage. This mini-course outlines theories of general fatigue failures particularly from strain-based conditions which originate from transient conditions such as electrical faults occurring in the field. The negative sequence of currents from short circuits induce severe torsional vibrations, coupling failures, bearing failures, blade rubbing and failures. In this course we will learn of torsional natural frequencies of the drive train. If the bearings fail, the drive train bending critical speeds would also change. The unbalance response of the rotors will become excessive and misalignment would exacerbate the situation. Fracture mechanics theories for crack initiation, propagation and final fracture and the time taken for this failure phenomenon to occur are presented. Based on rotor coast down conditions verified by the presence of new critical speeds, the exact time of unstable fracture can be estimated. With today’s high performance computers these procedures can be combined with results that would lead to providing timely warning and stoppage of the machine to save it from catastrophic failure. 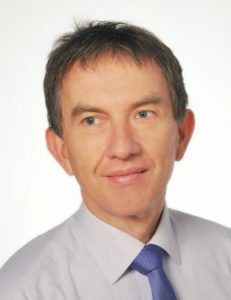 Professor Romuald Rzadkowski, MSc in Engineering (Gdansk University of Technology). MSc in Mathematics (University of Gdansk), PhD and DSc (Institute of Fluid Flow Machinery Polish Academy of Sciences, Gdansk). Employed at Institute of Fluid-Flow Machinery Polis Academy of Sciences, Gdansk, since 2004 as full professor and the Head of the Aeroelastic Department. Vice-Editor of Journal of Vibration Engineering and Technologies and organizer of VETOMAC conferences. Fellow of IFToMM and ASME Committee-Structures and Dynamics. Member of scientific expert committees. Supervised 10 doctoral students. Has written 12 books and edited two as well as over 200 scientific papers. Research interests include: Dynamics of Turbomachinery, Life Estimation of Turbine Blades, Unsteady Aerodynamics, Flutter, Signal analysis, Diagnostics, Tip-timing algorithms and systems. Has provided guidelines for monitoring and estimating remaining life after failure events in turbomachinery operating under prevailing conditions of steady and unsteady stresses. Autonomous haulage system (AHS) is an intelligent management of a system using appropriate technology so that its operation can occur without direct human involvement. To remain competitive in the global mining industry this technology is being pursued in Australia as it is believed that AHS can boost productivity and to reduce mining costs. Even through big companies like Rio Tinto, BHP Billiton and Fortescue Metals Group are currently applying AHS into their daily mining activities, there are still some concerns about deploying AHS for other companies such as the cost and the general acceptance. This mini course will focus on the transformational impact in asset management. Dr Boehl is Senior Lecturer and Researcher at Curtin’s WA School of Mines and Member of the Mining & Mineral Processing Committee of Engineers Australia WA. 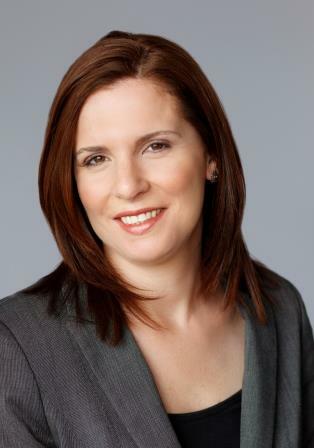 She is presently Course Leader of Asset Management and Services Management of Mining Education Australia (MEA), a unique collaborative venture delivering over 85% of Australia’s mining engineering graduates. Her career spans 17 years within the management consultancy, utilities and mining industries, initially as a civil engineer, then research analyst, asset management engineer and lastly automation and innovation researcher. She received the 2015 Academic Year – Excellence in Teaching Award Honourable Mention from Curtin’s Student Guild. She currently supervises 7 PhD students, 1MSc student and 7 final year student’s thesis. Her current research interests include strategic engineering asset management, mine maintenance and automation.